The best of both worlds. 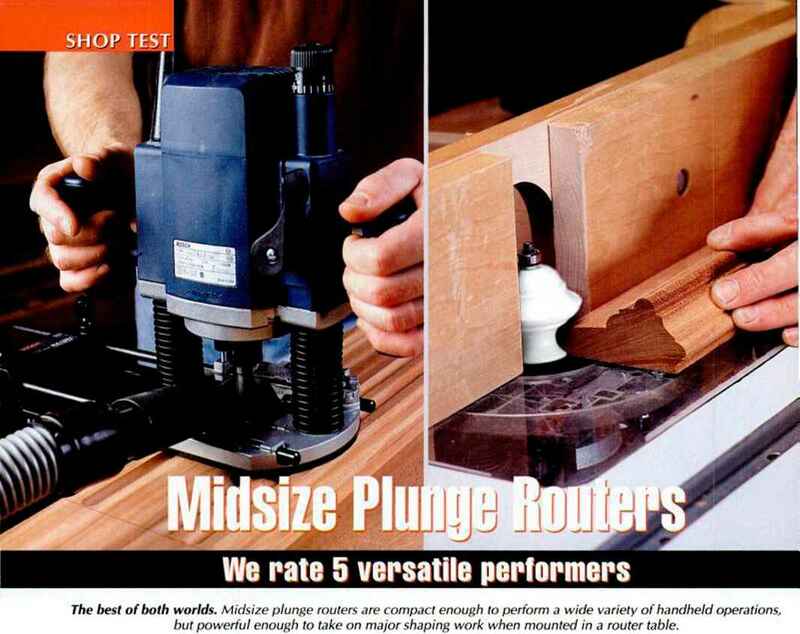 Midsize plunge routers are compact enough to perform a wide variety of handheld operations, but powerful enough to take on major shaping work when mounted in a router table. 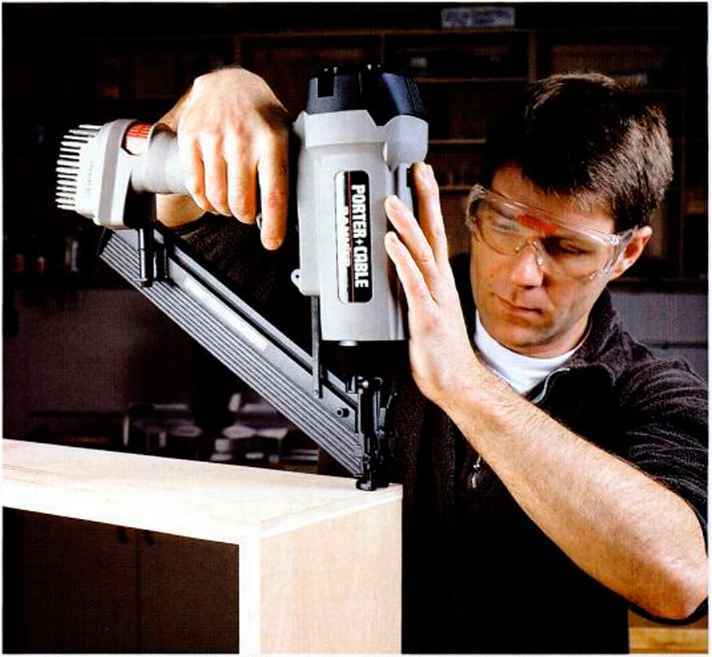 Think for a moment about the staggering variety of routers you can buy today, from compact laminate trimmers you can hold in one hand right on up to 3V^-HP monsters that really belong in a router table. Then of course there are plunge routers and fixed-base models to consider. 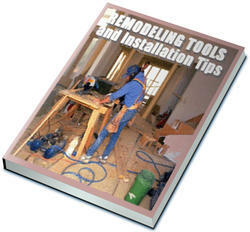 It's no wonder that many woodworkers have several routers in their shops. But if you could only have a single router, which model would you pick? This question became the premise for this Shop Test. We went in search of routers that could handle the widest possible range of cutting and shaping assignments and came up with a short list of five models: the Bosch 1613EVS, Craftsman 27510, DcWalt 621, Hitachi TR-12, and Porter-Cable 693PK. All of these routers are plunge models, which means you can make all kinds of stopped cuts, such as mortises and stopped dadoes. The Porter-Cable is unique in our test group because it comes in a kit that includes both plunge and fixed bases. It's easy to move the motor housing from one base to another. In size, weight, and power, all five models qualify as midsize machines. The DeWalt gets the nod as the lightest (8.9 lb.) and most compact machine. Hitachi is the heaviest (12 lb.) and most powerful (12.2 amp) router in our test group. The price range is tight: between SI79 and $209 for base models. Add accessories like depth-adjustment posts (necessary on some models for router table use), edge guides, and dust-collection shrouds and the range climbs between $204 and $283. Versatility is the quality that really distinguishes this group of routers. They can make plunge cuts or work like fixed-base models. They're powerful enough to spin all but the biggest bits. Yet they're light and compact enough for all kinds of handheld operations. And all of our test machines can work in a router table. In short, these five models are about as close as you can get to all-purpose routers. Power. Using bits supplied by Jesada, our testers made a consistent series of cuts in different types of wood. All models came out with good or better scores. The Hitachi and Craftsman routers had the most power.